WESTMINSTER, CO, UNITED STATES, July 9, 2018 /EINPresswire.com/ -- TraceGains, the leading compliance software solution, revolutionizing information exchange across the supply chain for food, beverage, and CPG companies, marked a major milestone for five employees, celebrating their 10-year anniversary with the company. Curtis Borchers, A.J. 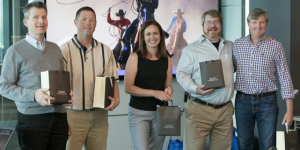 Dolan, Bob Hudson, Marc Simony, and Jennifer Van Meter were recognized for their many accomplishments. Simony, Dolan, and Van Meter are key members of the leadership team. Hudson focuses on expanding TraceGains into the world’s largest food and CPG companies, and Borchers has been a crucial member of the development team. TraceGains is a rapidly growing software company, delivering a sophisticated suite of products for food, beverage, and CPG companies. 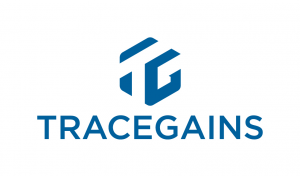 TraceGains solutions empower our customers to satisfy compliance with regulations and industry standards such as FSMA, GFSI, and HACCP/HARPC, without the need for additional staff. At the heart of TraceGains is a robust platform that enables companies to automate and optimize their processes through instant information sharing and collaboration between supply chain partners, which saves time, and improves food safety and quality.